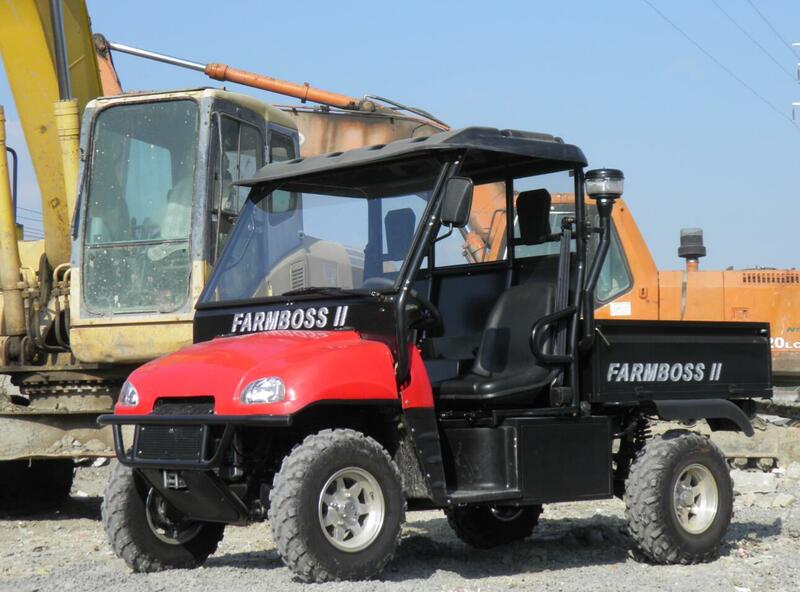 The FARMBOSS HD features a 1200cc 3 cyl high pressure common rail direct injection diesel engine , one of the most powerful UTV's on the market. This utility vehicle is built for hardwork, serious towing, reliability and user comfort. Fitted with a heavy duty CVT transmission; high and low range in both 4x2 and 4x4 front and rear diff lock, combined with the stability of a wide track it is ideal for heavy loads and towing applications. This is one of the few UTV's using a diesel engine. Front and Rear Independent Suspension. A real plus is the digital instrument cluster showing miles or kilometres in speed and distance, as well as an hour meter, fuel and temperature gauges, gear selection, indicators and various system warning lights. Selectable - rear diff lock | 4WD | front diff lock. The rear tipper tray is fitted with hydraulic struts, the sides are removable to make a larger 1540mm x 1070mm (60" x 42") flat tray with a load capacity of 400kg. Heavy duty roof protection frame combined with lap/sash seat belts enhances the many safety features of the utility vehicle. Standard features include Remote air filter with pre cleaner, ABS Roof, Front & Rear windscreens, Front wiper, Alloy wheels, 6 Ply tyres, Winch. The overall performance, quality, build and pricing of the FARMBOSS II are second to none compared with other similar products available and the spare parts pricing is extremely competitive. 124.4 x 61 x 76.8 in.